A hybrid bike is regarded as an everyday bike designed for the paved road of cities, gravel road or bike paths. It is an all purpose bike and it is fast becoming more and more popular in city people also to ride these bikes daily and keep themselves healthy. Some of the distinguishing features of a hybrid bike is its flat handlebar and 700c wheels. The flat bar helps the rider to assume a more comfortable position while the wheels plus its low resistance tires makes the hybrid an efficient bike. Hybrid are generally lightweight and come with a variety of gears for riders to choose from, making ascension into hills easier. 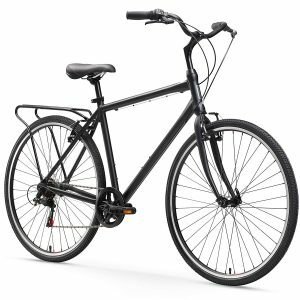 If you are in search of a bike that can take you virtually anywhere, then the Schwinn Discovery Hybrid bike is there waiting for you, totally ready to take you wherever you want to go. The bike is ready to go with no need for a lot of preparation. The bike comes with a classic look so it would match quite effortlessly with anything in your closet. 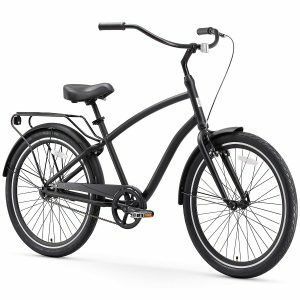 It has a frame that is designed for urban riding, a front suspension fork to make manhole covers and easier to take pavement patches. It comes with a built-in rear rack which helps you carry your groceries and bag home. It has very snazzy coordinating fenders which are equally practical as they are able to keep the morning dew and splashes off the Armani. This bike from Schwinn comes with a Shimano rear derailleur and 21 speeds with Shimano twist shifters. It uses a Schwinn alloy crank and has an ally front and rear linear pull brakes. Whether you are scouting the city for new adventures or battling the hordes during an early morning commute, the Sixtreezero Explore Your Range Men’s Hybrid Commuter Bicycle can do a lot to impress you. The bike is capable of delivering the power and speed that you need. The bike comes with a low-profile and it is constructed with a lightweight aluminum diamond frame that allows for easy on and off. It is fairly comfortable to take long rides using this bike, this is thanks to the bike’s upright style. The height and tilt of the handlebars can also be easily customized to allow for a more personalized ride. 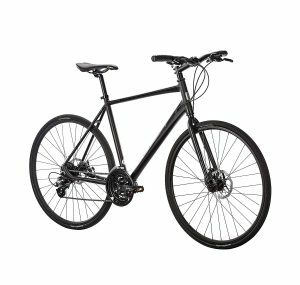 If you wanted a fitness bike that can turn eyes as you ride down bike path or go the distance on the road, then the Raleigh Cadent 3 Urban Fitness bike should be top on your agenda. The bike is constructed with lightweight high-performance aluminum frame plus a lightweight carbon fork. This makes the bike easy to maneuver and lift up stairs or even onto bike racks. It comes with 16 speeds from which riders can choose from and comfortable flat bars. Traction and stability are provided by the bike’s wide tires and its ultimate stopping power is provided by its hydraulic disc brakes, helping the bike to stop in virtually all conditions. The bike features signature Raleigh design and comes with quality Shimano parts which gives the bike great value. The Raleigh Cadent 3 frame is made of lightweight aluminum with a carbon fiber fork. Vibrations and jolts are absorbed by the fork while traveling on different terrains. The weight of the bike is around 25lbs. This will depend also on the size. The bike features disc brakes and a double wall disc rims found on the 35mm tires. The size of the tires makes them excellent for commuting and also for off-road activities. Raleigh offers limited lifetime warranty on the bike’s frame and limited one-year warranty on many other components. Road vibrations are absorbed by the carbon fiber fork. The good part is that it does not add too much weight to the bike. The bike has exceptional braking power which is provided by its disc brakes. It helps to bring the bike to a stop without causing wear and tear on the rims or malfunction due to weather conditions or unusual terrain. The Tommaso Sorrento hybrid bike is a representation of ultimate value and comfort. The features of this bike was included with fun, comfort and value in mind while yet employing some of the premium qualities obtainable in Tommaso La Forma. If you love and appreciate the Tommaso La Forma then you would definitely love the Tommaso Sorrento. They both use the same 28 spoke wheels that is known for offering consistent and reliable performance on every ride. 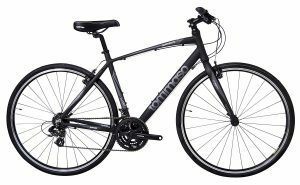 The fact you can easily add racks to the frame of the bike makes the Sorrento an excellent commuter, with its tough and durable components that can be relied upon for transportation, exercise and fun. The Tommaso Sorrento is constructed from an aluminum hybrid frame which makes it super ready for every of your commuting purpose. The SST Steel Fork is highly durable and offers dependable performance regardless of what the road or trails throw at you. The Tommaso Sorrento employs Shimano tourney drivetrain. This offers a wide range of gearing options with a flexible heads up display on the shifters. The on demand power and performance will determine the shifting. The bike comes with 28 Spoke Migda Alloy rims which offers dependability and strength which commuters and city riders can demand. The bike’s 32mm tires helps to guarantee increased control and balance in all positions. This is the basically the best bike build available in the industry. The bike tech do a full 65 point build which allows the bike to be shipped to users 99% assembled. This fully tuned bile can go from the box to the road in less than 10 minutes. The manufacturers have so much confidence in the value and quality of their bikes that they offer a Risk Free 7 Day Test Ride with every bike that is shipped with a Ready to Ride build. This feature allows you to test ride the bike for 7 days and if at the end of the 7 days you are not impressed by what you got, you can simply call the customer service team and make your intentions known. You will be given a full refund and the cost of the return shipping borne by them. The company state that all they want is a 100% satisfied customer. It is a classic hybrid cruiser bike from sixthreezero which is built for maximum comfort. The bike has a low center of gravity with a foot forward design which helps to keep the back of riders upright while they can maintain an appropriate leg extension lead vital for optimal pedaling. The Sixthreezero is a bike ready for anything. It has a look which is made for the beach while the gears are apt for everywhere else. So you can hit the trails at the crack of dawn or take a cruise on the beach at dusk. The bike has a sleek look, thanks to the matte black modern aluminum frame which blends effortlessly with the matching dual spring seat and leather-stitched grips. The bike is apt for riders of varying height, as its foot-forward seat and pedal position allow different riders to stop and put feet flat on the ground. When at a full stop, riders can stand upright over the seat and the low swooping frame. This allows for easy mounting and dismounting. The Sixthreezero EVRYjourney comes with a forward pedaling design which allows riders back to remain upright while they maintain a appropriate leg extension lead as they ride. The frame of the bike has a forward pedaling geometry which allows riders to place foot flat on the ground when they come to a stop but yet have a appropriate leg extension lead when they are riding. The frame geometry of the Evryjourney makes the bike a one-size-fit all machine. It can be used by riders from five feet to six feet four inches. It is one bike for all adult riders. -21 speed Shimano Contest derailleur and friction shifters is effective at tackling demanding street, uphill riding, wide expanse and trail. The front brakes and back brakes allow for quick and precise halting. – 7 Speed Shimano external hub encourages a wide variety of riding, from long distance commute to leisure riding. It employs front brakes and back brakes. – 3 Speed Shimano inner pivot comes with and stress-free Nexus shifter. This allows riders to handle long distances and hills. It equally comes with handbrake at the front and coaster brake at the rear. Designed with two key things in mind; fun and fitness, the Populo Fusion 2.0 is perfect hybrid of comfort and performance. It has a lightweight alloy frame with an upright sitting position. This ensures that regardless the ride you may be on, you will be comfortable every pedal stroke of the way. The frame comes with a mount on the rear rack, this is so as to expand its utility. This way, you can add bag and rack to carry your groceries, work apparel, or textbooks. The bike featuring a 24-speed comes fitted with all the gearing you will ever need. So whether you are just riding to a corner store or you wish to go on a bike path perhaps for a weekend cruise, the bike can be your companion. The Shimano drivetrain ensures that you can expect reliable performance at all times. The populous fusion 1.0 was impressive, but the 2.0 version takes the deal to a whole new level with very powerful disc brakes that will help bring your bike to a complete stop, regardless the weather conditions. Riders can enjoy a comfortable ride provided by the bike’s Riser bars paired with a Velo Fitness saddle. If you are in the market for the best looking hardtail hybrid mountain bike for men which comes at a most affordable price tag, then the very stylish and colorful Murtisol hardtail Mountain Bike should be at the top of your list, for some very obvious reasons. The bike is perfect for mountain riding and city commuting. 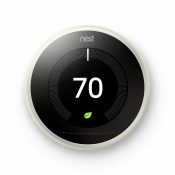 It comes with some amazing features, safety measures, and incredible performance. A bike’s frame is the most important part of the equipment, therefore it is essential that is be strong and durable. Therefore, Uenjoy employed the use of premium quality steel material coupled with excellent welding technology, to build the solid frame of the Murtisol 27.5″ Hardtail Mountain Bike. This process of construction makes the bike durable and ensures that it is extremely lightweight and stable. Aside from that, the adjustable seat post and frame geometry ensure that the rider has a comfortable and easy riding position. The frame of the Murtisol Mountain bike is a Hi-Ten or high tensile new designed MTB frame. This material is pretty common in entry-level mountain bikes due to its lesser cost of production. However, Hi-Ten are reputed for being the heaviest and weakest material in mountain bike frames. The bike comes with an adjustable seat and a frame that can comfortably accommodate riders between five feet 2 inches to five feet 9 inches in height. The maximum user weight capacity of the bike is 250lbs. The bike is described as a hardtail type rig because the suspension is located at the front side of the bike. The suspension used for this bike is a front fork with 60mm travel. It comes with a good wheel impact absorption and it is apt for riders who wish to go cross country as well as those interested in covering mountain trails. The Murtisol Mountain bike comes with 21-speed levels. The shifters used are MicroShift Index shifter. The derailleur in front is a down pull type and designed by Sunrun Index, while the rear derailleur is a direct mount Shimano. The braking system employed in the Murtisol Mountain Bike is a mechanical disc brake. These steel disc brakes can be found on the rear as well as on the front aspect of the bike. The wheel obtainable on this bike is a 27.5 inches Wanda full black tube tires. The size of this wheel makes it apt for both worlds, offering the great control of the 29 inches and the easy rolling motion of the 26 inches. The rims of the wheel are made of the aluminum double wall, which is strong and durable, yet lightweight. The Vilano Diverse 3.0 Performance Hybrid is the bike you can depend on to ride to work and have fun on weekends, regardless the weather conditions. The disc brake helps to deliver excellent stopping power and gives plenty control in different conditions. 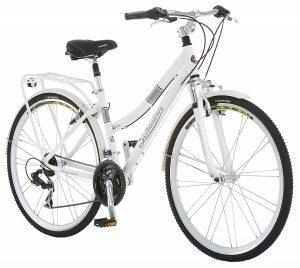 The bike is a budget friendly entry level hybrid bike which does not cut any corners. The top performing parts available in this well-designed bike offers casual riders and daily commuters a bike that performs better than majority of the mid-range options. 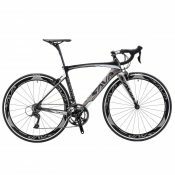 The bike delivers excellence in virtually every aspect of road bike performance. There are only two frame sizes available for this bike; 53 and 57 centimeters. The rationale behind this was to keep the cost of the products as low as possible. However, these two frames will fit most riders of between 5 feet 5 inches and 6 feet 4 inches. The frame is constructed from 6160 aluminum, this includes the fork fitting 700 cc tires which does not trap mud or dirt. Compared to most other low-cost road bikes which come with cheap brakes, the Diverse 3.0 features Shimano disc brakes which are built to improve stopping sped and offer tremendous control, regardless of the weather conditions. There is an integration between the brakes and the shifter which a lot of control from the cockpit without losing the ability to maintain speed or maneuverability. The integrated brake shifter and the Shimano EF 51 3/8 speed shifter controls 24 gears and disc brakes. 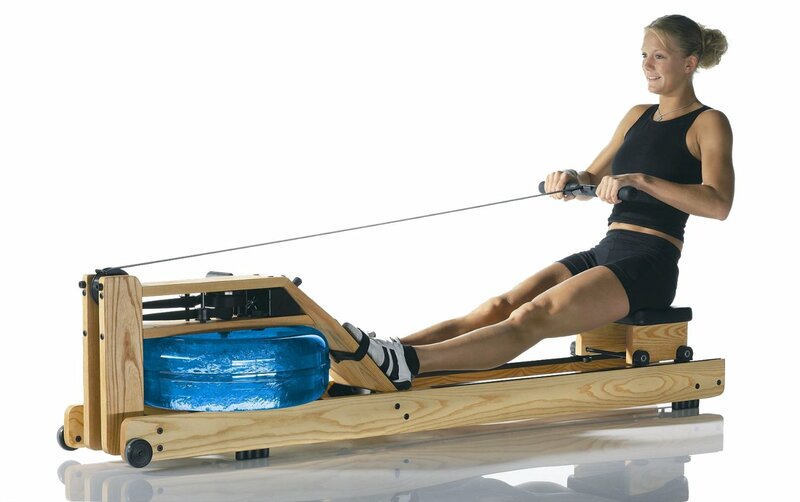 There is no need to worry over incline, flats or decline, and your hands can remain in full contact with the handle bars. Even during adverse weather conditions, like raining and snow conditions, the shifter works seamlessly and quietly giving you the opportunity to focus on the road ahead. The rims of the Vilano Diverse 3.0 can be described as reliable, sturdy and resistant to warping. The disc brakes helps to take pressure off the walls, thereby allowing the Weinmann 700c rims to maintain speed and reliability through high speeds, heavy braking and even in bumpy terrain. Although the Weinmann rims aren’t exactly the best, they provide excellent support and ensure that the bike maintain cargo weight limits of up to 300 pounds. The Diverse 3.0 comes with Kendra 700c x 35c tires. These comes with a narrower width which helps to prevent the bike from going to dirt trails and downhill runs. Instead, while on the road they are quiet, efficient and responsive. 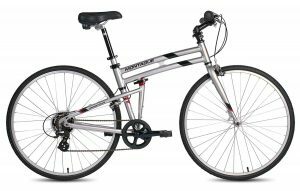 The Crosstown hybrid from montague is a unique type of folding bike which is apt for everyday traveling and around metropolis riding. It is flexible and quite stress-free to use offering up to 7-speeds, a relaxed saddle and wide tires up to 35mm tires. It features an upright riding position which helps to ease the strain on your back and hands. It often described as a classic do-it-all bike, which offers a comfy feel for any riding style of your choice. So whether you want aptness, vacation or you just want to move across city, all you just need to do is fold the bike and go. The Crosstown features a 7 speed Shimano drivetrain. It has an extra low MegaRange gear for ascending hills. The 35mm wide semi-knobby tires fitted to the Crosstown are designed to lift you off the beaten path, regardless of the presence or absence of pavement. The manufacturers offer a lifetime warranty. The frames and non-suspension forks are covered throughout the entire life of the original owner of the bike. If you purchased the bike directly from the company then it comes with a 30 days satisfaction guarantee. This means that if for any reason you are not satisfied with the bike in those first 30 days, it can be returned for a full refund minus the shipping costs. If you were searching for perfect hybrid sport bike which can take you across town and yet keep going then the Trace ST is the bike you should opt for. It combines the efficient wheels of a road bike and the comfortable riding position of a mountain bike to create this wonderful masterpiece. You cannot run out of a comfortable gear to run on as the bike comes with 21 gear combinations. You are in perfect control of your movement through the alloy linear pull brakes which supplies you with ample stopping power. Whether you are traveling over gravel paths or sticking to the streets, the dual sport tires delivers fast rolling traction. You are certain to appreciate the confident feeling that emanates from the flat bars as you zip down to the market or use the Trace as your commuter bike. There is a striking balance between weight and strength when it comes to its frame. It employs aluminum alloy frame which is double butted. The frame is powerful enough to be functional on and off road trails. There are four frame sizes available, from the very small to the extra large. It features a good amount of stand over height which allow rider to easily put their foot down when at a traffic light or at any other stop. Shifting and power transmission is handled by a good quality Shimano Acera 3×8 drivetrain. The drivetrain 24 gears is adequate enough to allow riders take the Trace Sport up and down the biggest of hills as well as zipping around the city. Although the wheels are somewhat heavy, they are strong. They have a 32 hole doublewall rims. The bike uses Kenda Bitumen tires which are perfect for this type of bike. The Tektro disc brakes have got you covered for times when you need to come to a halt. Braking power should never be compromised with. Disc brakes are known to have more power and they remain cleaner and fee of road dirt as compared to rim brakes. These brakes will help bring you to a stop whether you are approaching an intersection or if you come across a fallen tree on a trail. Like any other good mountain bike, this buke comes with a suspension fork. The SR Suntour NVX HLO comes with 75mm of travel. This will assure you of a smooth ride even over uneven city streets. It can also be locked out to prevent it from absorbing your pedaling energy. Before you can choose what type of hybrid bike is right for you, firstly you need to consider what type of riding you will be doing. Do you plan to commute only in the city? Or riding on paved paths and smooth streets during workouts? Or cruising on a mix of pavement and gravel? Once you can identify this, you can then consider the specific features on a hybrid bike to decide if it is suitable for where you plan to ride it. Hybrid bikes come in two major wheel sizes; 700c and 26 in. If you an experienced cyclist or you plan to ride flat terrain only, then you won’t be in need of some many gears. This will help keep your bike light. Your hybrid bike can either have suspension or no suspension. A lot of hybrid bikes do not have suspension. Suspension fork are known to add weight and can make pedaling to be less efficient. This makes most people who ride on smooth streets or bike path to forego it. Some other bikes come with front suspension which helps to absorb impacts on the front wheel so they can be a smooth ride on rough streets. The two major types of brake available in hybrid bikes are; Rim and disc brakes. Many hybrid bikes come with rim brakes. These brakes are economical, easy to observe brake pad wear and also easy to replace worn pads. Disc brakes offer a more consistent braking regardless of conditions. 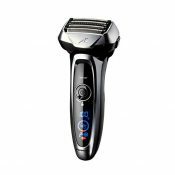 It offers superior performance in steep and wet terrain. They are however more expensive to service. Most hybrid bikes are made from aluminum, however, carbon fiber and steel are equally used. Each of these materials have their pros and cons. Aluminum is light, affordable and stiff. It is sometimes described as feeling harsh on rough roads. 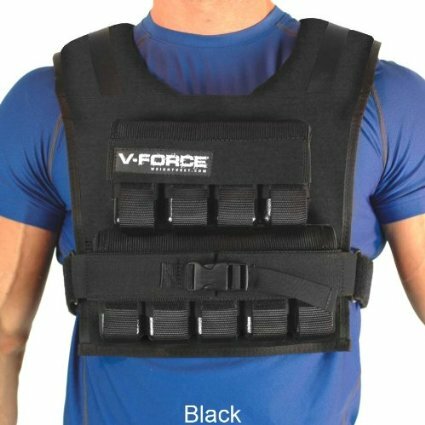 However, they are newer construction techniques which help to improve shock absorption. Carbon fiber is the premium when it comes to frames. It is lighter than aluminum yet stronger than steel. It is the frame of choice for high-end bikes. Hybrid bikes are designed in a way that they are an intersection between mountain bike and road bikes. So then what we have is a bike with a flat handlebar like a mountain bike but with a more upright sitting position which guarantees comfort. Although this does not encourage speed, it is comfortable and offers a safer way to ride when you are traveling through traffic. 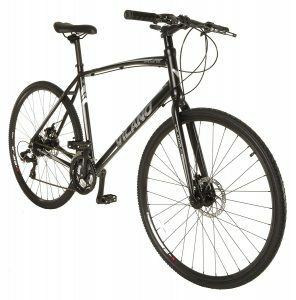 For what type of riding are hybrid best suited? These bikes are best suited for casual riding. It is an excellent bike for riding through the neighborhood, pedaling through parks, going out with kids etc. The upright riding position makes hybrid bikes quite comfortable. What are the benefits of a hybrid bike? The most distinguishing benefit of hybrid bikes is the comfortable riding position and its medium size tires. The tires helps to give the bike stability and also helping them negotiating rough spot on the road or cutting across grass. The upright position ensure comfort. 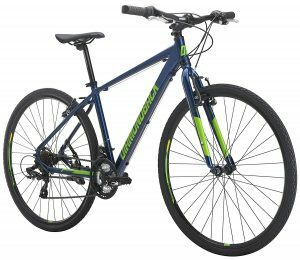 Are hybrid bikes good for street and mountain biking? Not exactly. Although they are promoted as both street and trail bikes, they perform better on street. Do they make good commuter bikes? Definitely. Hybrid bikes are excellent commuter bikes. The size of their tires them rugged and reliable. They are comfortable and they are able to accommodate luggage racks and any other gear that you may need for bike commuting. Is it better to have a suspension or rigid fork? Neither of them have particular importance over the other when it comes to hybrid bikes. A suspension fork offer a smoother, plusher feel to the ride of the bike, while a rigid fork gives a more responsive but slightly bumpier feel. 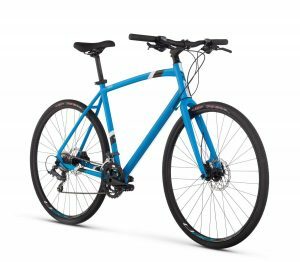 Why should you choose a hybrid bike in 2019? Choose it for its versatility. It is the ideal commuter, family bike, and excellent for when you wish to get back in shape. Because of this utilitarian nature, these bikes generally go with all kinds of accessories. 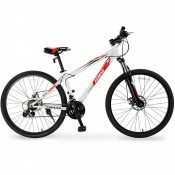 It is really the ideal bike to ride on road and bike paths when you don’t have the budget to buy road and mountain bikes.